You share stories. You share traditions. You share genes. Why not share a true adventure? 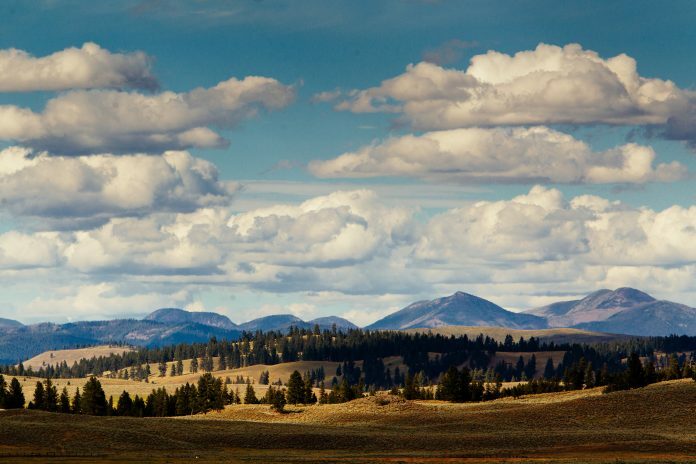 Montana’s Resort at Paws Up gives families the perfect excuse to gather together for life’s finest moments. From fly-fishing the legendary Blackfoot River to trail rides among towering pines to luxurious treatments at the scenic, outdoor tented spa, it’s a wilderness escape that manages to appeal to everyone. And while some call it The Last Best Place™, The Resort is easier to get to than you might think—just 35 miles from Missoula International Airport. Round up the clan for a game of horseshoes or break away from the herd to go mountain biking. Fly high in the Sky Line Aerial Adventure Park or explore the nearby Garnet Ghost Town on ATVs. Paws Up offers more than 70 activities ranging from the adrenaline-pumping to the completely relaxing. If you’re having a hard time deciding among the options, Paws Up’s staff will work with you one-on-one to tailor an experience filled with fun and adventure for everyone, so you can all share in the vacation of a lifetime. New this year: Paws Up’s Island Lodge at Salmon Lake is the vacation home you’d want for your family if money were no object. It provides access to five picturesque miles of water at the southernmost tip of the Seeley Swan Valley. In every direction, it’s surrounded by the largest and oldest ecosystem in the Lower 48. To the west, you’ll take in the incredible Mission Mountains; to the south, the gorgeous Garnet Mountain range and to the east, the legendary Bob Marshall Wilderness Area. The Island will soon offer accommodations and a host of water activities including a spectacular sunset boat tour. Imagine a summer sojourn in the Montana wilds where you can slow down and take a moment to treasure family time. The Kids Corps of Discovery at Paws Up is an immersion program that replaces screen time with the time of your child’s life. Programs are available for toddlers, teens and in-betweens. Children are provided age-appropriate itineraries that include pony rides and an Old West treasure hunt for the Little Discoverers (ages 3–5) and go-karts and archery for the Adventure Club (ages 6–12). The Kids Corps of Discovery gives young people the chance to explore the wonders of Montana and discover themselves at the same time (while parents are offered some precious time for themselves). Each vacation home at Paws Up is nestled within a forest of tall timbers that overlook stunning meadows and panoramic mountain landscapes. The roomy layouts provide plenty of space for both kids and grandparents, with roaring fireplaces to gather around, tents pitched outside for playtime and a relaxing hot tub on your private deck. There are luxury cottages for two and expansive Wilderness Estates that house up to eight. And they all seem designed to make you feel as if you’re staying in a home that’s all your own. Paws Up invented glamping, and ever since, they’ve redefined the very idea of roughing it. The Resort’s safari-style tents are more reminiscent of a luxury hotel room than a pup tent. Sleeping from two to six people, each tent has hardwood floors, king-size beds and bathrooms with heated slate floors and Montana-sized rain showers. Did we mention each camp comes equipped with a butler available 24 hours a day, a dedicated chef and transportation to take you wherever you’d like to go? For larger groups, you can reserve an entire six-tent camp with your own Dining Pavilion. It’s the family compound you’ve always coveted. A Culinary Mecca in Montana? Sophisticated palettes find a home away from home when they visit Paws Up. The refined yet rustic ranch cuisine is locally sourced from carefully selected Montana growers and food artisans. New Executive Chef Sunny Jin, a veteran of the renowned restaurants the French Laundry and El Bulli, is dedicated to building relationships with the nearby agricultural community and, of course, foraging for the finest ingredients. Crediting Montana as his inspiration with its culinary riches, including wild huckleberries, cherries, chamomile, elk, bison and trout, Jin is known for creating a wow factor for every meal. There’s nothing like the holidays for bringing people together, and they’re even better at The Resort at Paws Up. The festivities are all taken care of for you, from pies to parades to sleigh rides and stockings, plus a few details that add extra sparkle. The Fourth of July is the quintessential American celebration with a main street parade, craft cocktails, lawn games and a float-decorating contest. Thanksgiving is stuffed with plenty of sides, including hayrides, ATV tours, bonfires and parades to watch on TV. Christmas is completely magical in Montana, with a picture-perfect backdrop of snow-covered mountains during horse-drawn sleigh rides and even a visit from you-know-who. New Year’s Eve includes a delectable dinner, live music, vintage bubbly, fire dancing and fireworks. Paws Up makes it easy to celebrate the holidays. All you have to do is have fun and enjoy your time together.